- Hypothesis - Viktória G Duda, Ph.D.
Of course, past life regressions are not everyone's "cup of tea." The idea of reincarnation (an individual consciousness living through a series of lives as opposed to a single one) seems to be an alien concept to the great monotheistic religions (at least in their current form) as well as to materialistic science. 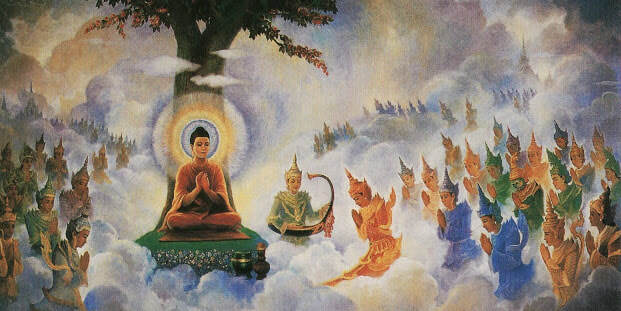 Before Buddha attained enlightenment, he is known to have remembered thousands of past lives. With others, however, this concept resonates on a deep level. For those of you, who want to work with it, in order to gain clarity about how "reincarnational thinking" works, I found it important to formulate a working hypothesis. It is equally important to note that this hypothesis is not based on faith or any sort of belief, but a new type on empirical research. Such research is possible because we now have a large number of congruent cases in relation to past life memories (including children's spontaneous recalls) and temporary death, as well as shared death experiences. When a large number of cases turn out to be congruent, they provide us with data we can use for study. It's a bit like reports from early geographic explorers: when the first explorer came back with the description of an "animal as large as a room, legs the sizes of tree trunks and a nose which can drink a bath-tub full of water," people might have though he had too much rum on board. But when dozens and hundreds of similar descriptions came in, people started to acknowledge that there might be such a thing as an elephant after all. Congruent cases allow us to do new research, but we cannot venture into new territories by using old methods. So far, science has assumed that the world is based on matter, and this assumption has worked very well for explaining the physical world and making amazing new tools all the way up to modern computers. However, we must not forget that a scientific assumption is not itself a fact, as assumptions per definition cannot be proven. Assumptions are just starting points for logical investigations and are chosen by their usefulness. The assumption that matter is the basis of the universe has proven useful for exploring the material world, but it leads to a scientific dead-end when it comes to the investigation of consciousness. Should those hundreds of thousands, if not millions of well-documented cases of temporary death (also called near-death) and shared death experiences, past life recalls and out of body experiences be dismissed as mere anomalies? Rather: we can turn the assumption around, and begin our investigation from the starting point that it is consciousness which is the basic building stuff of the universe - consciousness which evolves through it's own creative power. "I regard consciousness as fundamental. ​I regard matter as derivative from consciousness." we can investigate the many cases of people experiencing non-physical realms. From cases in which people report past life memories (either children spontaneously or adults in enhanced states of consciousness) a distinct and congruent pattern emerges. Life turns out to be not a one-time, but rather a cyclical type of experience. 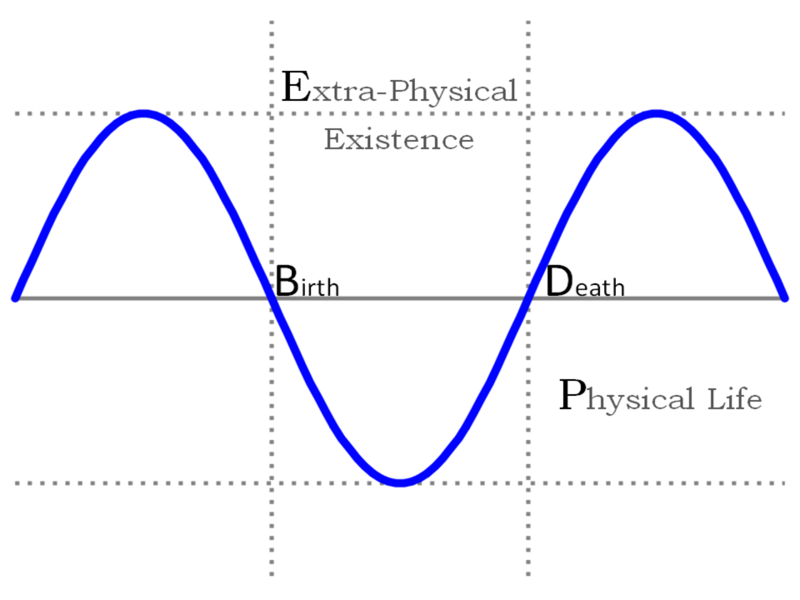 After physical death consciousness enters a non-physical state, in which learning and preparation for a new physical life occurs. What happens during past life regressions? The honest answer at this stage of research is that no one knows for sure. Initially, it was therapists who did regression work (bringing back their clients into childhood experiences) who discovered that they can go before childhood, into the birth experience, and even beyond that. Thus it was discovered that there is something in the psyche which is able to tap into memories older than the physical brain. The exact mechanism how that occurs, is still unknown, yet the emerging information is proving to be invaluable. ☼ finding and fulfilling one's unique life mission (existential program). How accurate are past-life memories? 1. Psychologically accurate memories. I call memories "psychologically accurate," when they are expressing inner truths and thus have the power to change a person's life. For example, a person remembers the emotional side of the past-life situation very well, but might not be able to recall names or places. Such memories can often be quite dramatic: real, personal emotions come up from seemingly nowhere, issues clear up and new pathways open. Life gets new meaning. At this level the person feels that these memories truly belong to them, because they have shaped who they currently are, just like childhood memories. ​2. Historically correct memories. In a therapeutic setting, due to time restriction, it is usually not possible (or required) to check the historic accuracy of past life memories. Therefore, if someone's main goal is to find proof for reincarnation, memories into children's past lives, as collected by Ian Stevenson and Jim Tucker, are probably more suitable, as they occur spontaneously and without adult "agenda." When a person feels ready and makes the effort of remembering past lives - which can be a long and sometimes rocky journey - an entire new vision of who they are opens up to them. Spiritual traditions from different cultural backgrounds hold that at a certain stage of conscious development it becomes inevitable to remember past lives in order to move on. From my therapeutic practice and personal journey I have found this to be true. Once past lives are discovered, there is no turning back: the person becomes fully committed to serve evolution for the sake of happiness, not just the own, but all other sentient beings.